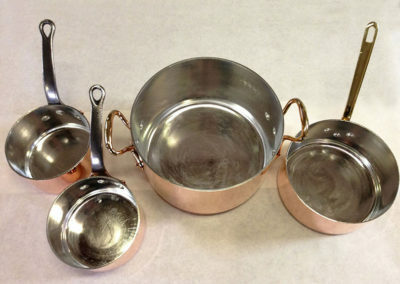 The leader of copper cookware retinning and polishing since 1975 and the only service in the United States that specializes in the restoration of copper tea kettles and molds. 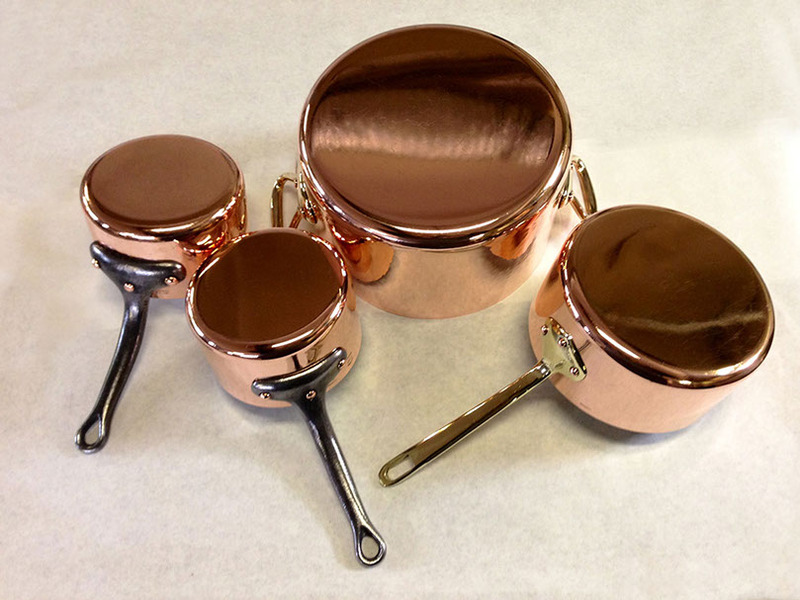 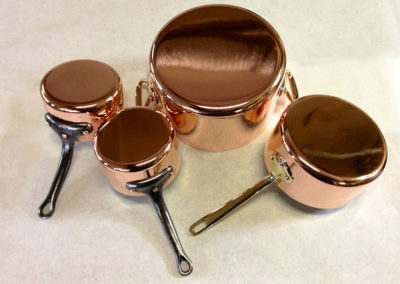 The cost of retinning copper cookware, which includes polishing, is $5.50 per inch. 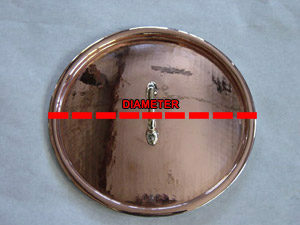 Larger items over an 18 inch total will be charged $8.00 per inch. 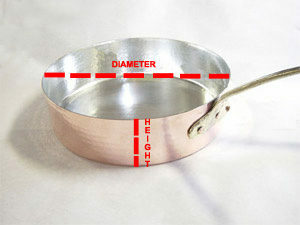 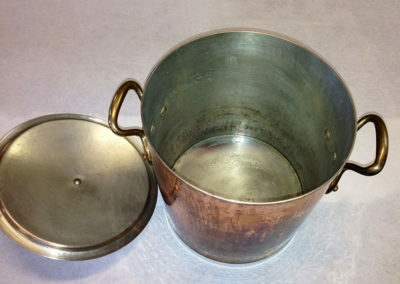 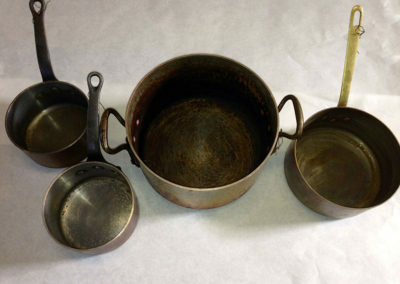 To calculate the total inches of a copper pot or pan, add the diameter and the height together to get the total inches. 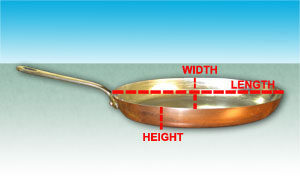 Oval or rectangular pans total inches can be calculated by length + width divided by 2 + height. 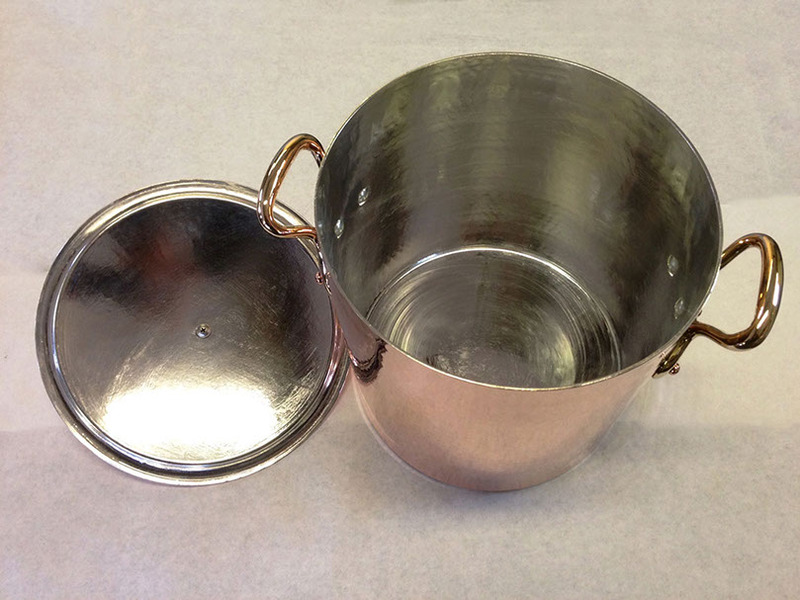 The cost for retinning & polishing lids is $4.00 per diameter. Oval or rectangular lids total inches can be calculated by length + width divided by 2. 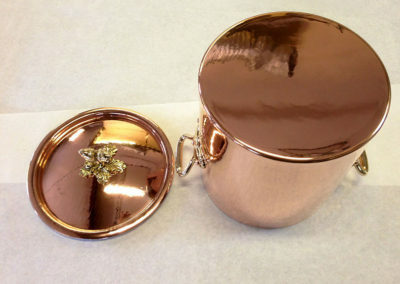 *Also include the cost of return shipping which is the same cost to ship to us. Allow 2-3 weeks to complete orders.